SHENZHEN, China -- South Korean football legend Cha Bum-kun said Thursday that Asian nations need to compete with each other to develop the sport as he eyes an expansion of his youth football project across the continent. Cha will launch “Team Chaboom Plus Project” in Shenzhen, 2,000 kilometers south of Beijing, with the help of a sports organization under China‘s CITIC Group. 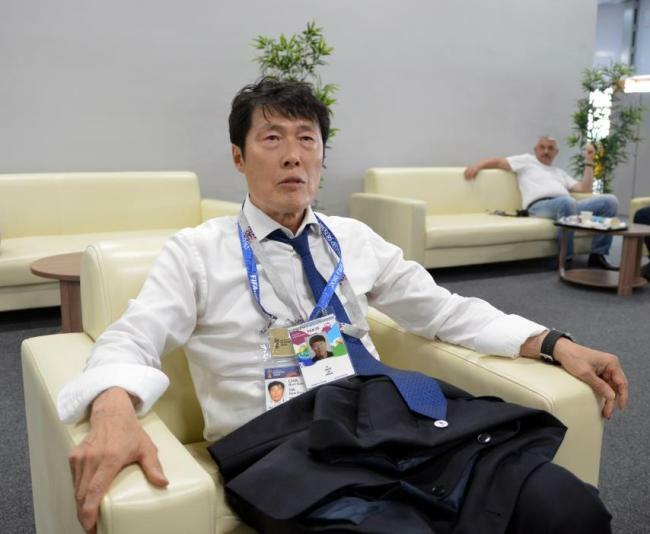 The 65-year-old is familiar with the Chinese city as he managed Shenzhen Ping An in 1998 after he was sacked from the South Korean national team coaching job during the World Cup in France. Cha said the fundamentals of development come from youth football and that’s why he has been focusing on fostering young talents. His project started in South Korea last year, but now he wants to take it to the Asian level, starting with China. Team Chaboom Plus Project aims to offer the country‘s top football prospects a chance to play against German Bundesliga youth teams. For his project in China, Cha said his side signed a five-year deal with officials in Shenzhen and will send 22 youth footballers to Germany. Cha emphasize that he wants Asian youth footballers to gain international experience from a young age. Cha said he watched closely how players from football powerhouses performed at the 2018 FIFA World Cup and again emphasized the importance of youth programs. Cha is one of the greatest football players that South Korea has ever produced. He holds the national team records for most appearances, with 136, and most goals, with 59. Known for his pace and power, Cha starred in the German Bundesliga from 1978 to 1989, netting 98 goals in 308 matches. He won two UEFA Cups, one each with Eintracht Frankfurt and Bayer Leverkusen. Cha said he started to pay attention to youth football after he saw Japan’s youth system during his visit to the Asian neighbor in 1978. Cha said he joined forces with Chinese capital to pursue his youth football project after he failed to find a sponsor in South Korea.